SÜVARI is a brand in menswear retail, with over 1000 employees in 9 counties working in over 100 stores. Süvari places a premium on high quality design, exceptional materials and a classic look for the modern gentleman. 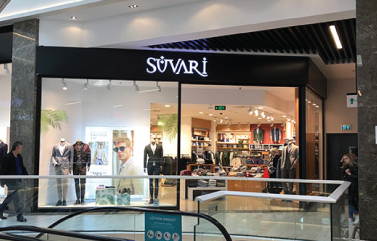 Süvari had problems discounting menswear retail products at the right time or right price point. Fast-moving products could not be restocked in timely fashion, resulting in lost sales and stagnating revenue. In 2015, the company’s leadership decided to improve an overflow of slow-moving inventory. With an abundance of data but not enough resoursers to use it in a valuable manner they looked for a solution and found Getron. If you have a retail chain, like SÜVARI, then you could have increased markup ratio by 27% and increased in-store availability by 50%, using Getron Advisor. 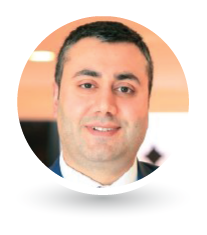 By utilizing Getron Advisor’s affordable artificial intelligence and machine learning algorithms, SÜVARI were able to access, analyse and adjust what their data was telling them in a way that hadn’t seem possible. Advisor had given SÜVARI the ability to act on insight, not impulse, and to achieve their goals without incurring the strain on schedules and budget typically incurred by lengthy IT projects. Increasing markup ratio by 27% allowed SÜVARI to redesign their stores and increase perceived quality of their brand. Reduce average Stock Cover in their stores from 14 weeks to 6 weeks. Reduce the ratio of returns from stores to warehouses from 16% to just 5%. ARE YOU SEARCHING FOR AI SOLUTION FOR YOUR BUSINESS?